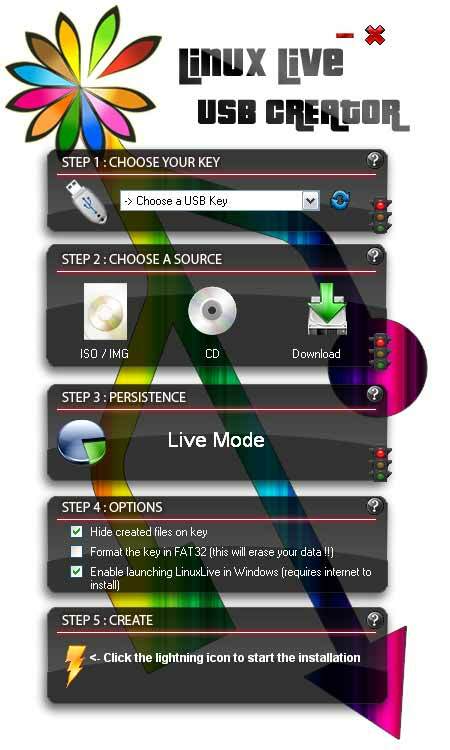 Note: This is one of our favorite GUI tool for creating a Linux Flash Drive from Windows! Thibaut's work is outstanding. Simply follow Steps 1- 5 from the Menu. Once complete, you should have the Portable Linux Distribution you can carry with you in your pocket to run on any PC either emulated with Virtualbox Portable or natively.